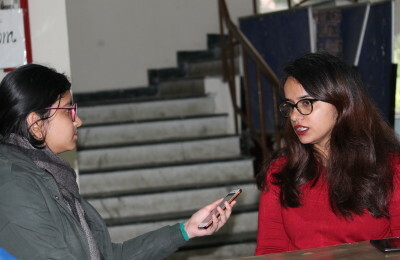 On 11 and 12 February 2017, the debating society of Daulat Ram College organised Vichaar, an Indian youth parliament. This was the inaugural edition of the conference, which took place after nearly four months of intense planning and commitment. The conference simulated a number of committees, from conventional ones like the Lok Sabha, the Chamber of Princes, and the Research and Analysis Wing, to the highly specialised and unexpected Akbar’s Court of Navratnas. The esteemed executive board that conducted the discussions in the committees allowed both experienced debaters as well as newcomers to learn more about contemporary issues and find viable solutions to them. The various agendas that were the points of deliberation were in reference to sedition, the integration of India at the time of Independence, terrorist attacks, and unified religion. The variety of opinions and the characterisation of delegates as parliamentarians truly added to the dramatic and enjoyable nature of the conference. This goal was duly achieved as both delegates and the executive board agreed that the committees were prolific and the conference was a rewarding experience. The end of the event saw resolutions passed in committees as solutions to the concerns that were raised. The closing ceremony included prizes being given out to the best delegates as well as the executive board being recognised. The heads all talked about the conference being a success and about fruitful debate taking place. Finally, the debating society as a whole surprised the Secretary General, who is also the society President, with a small memento. The two-day extravaganza concluded with a sense of accomplishment and fulfilment for all parties involved. The first edition of Vichaar is only the beginning of a legacy for the debating society of Daulat Ram College.